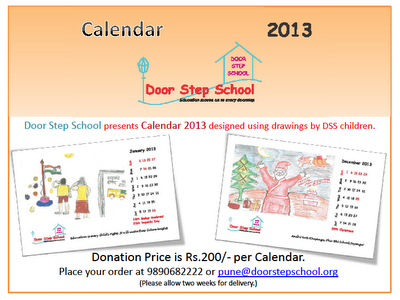 Door Step School presents Calendar 2013 designed using drawings by DSS children. Calendars are available at donation price of Rs.200/- each. Place your order at 9890682222 or pune@doorstepschool.org.